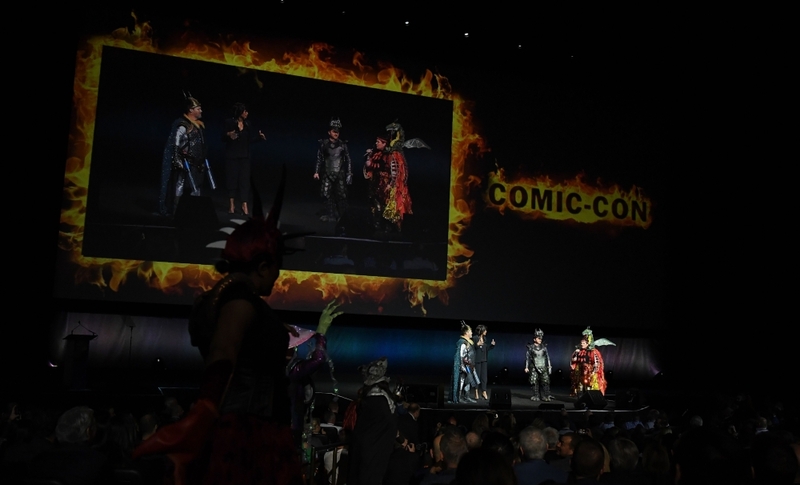 The studio showed off their wares at the annual convention of theater owners on Tuesday, with the August release "The Kitchen" playing strongest to the room at the Colosseum Theater in Las Vegas. 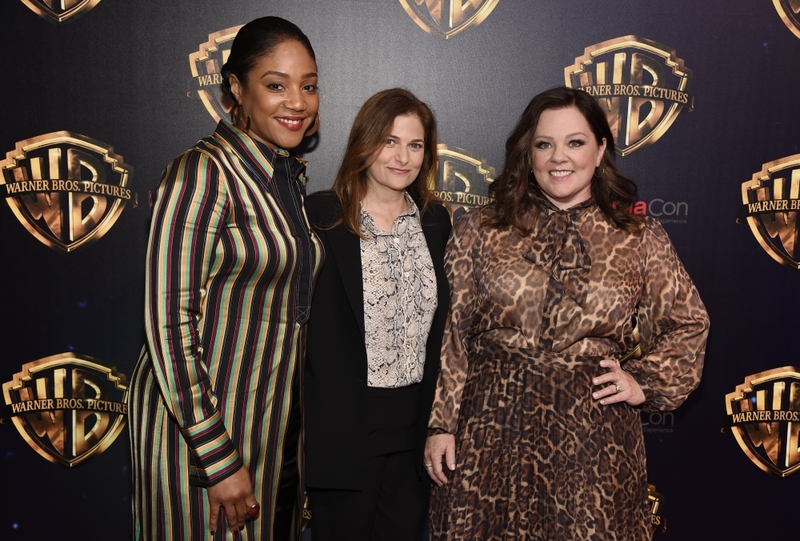 Rolling out on WB's New Line label, the film is based on a graphic novel about a pack of women in the 1970s Manhattan neighborhood of Hell's Kitchen who take over the crime routes of their jailed Mafia husbands. When casting was announced, many people were puzzled. 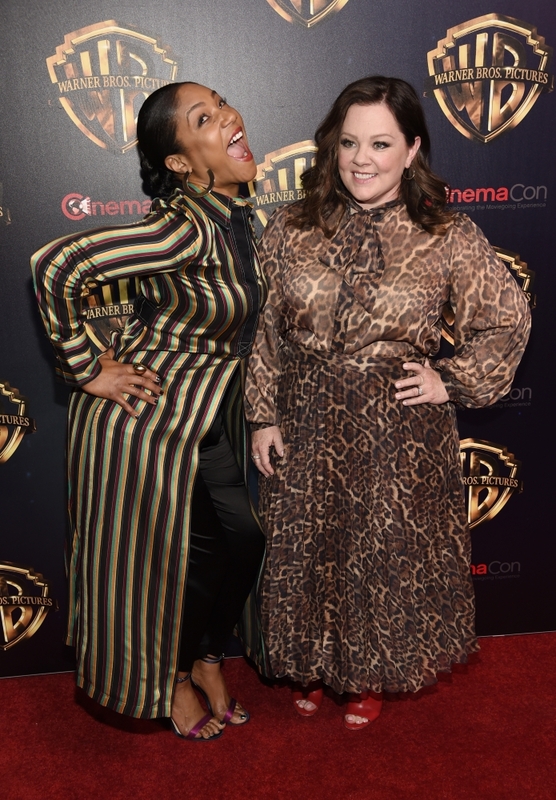 The film's leading ladies -- Melissa McCarthy and Tiffany Haddish -- are best known for their comedic fare. 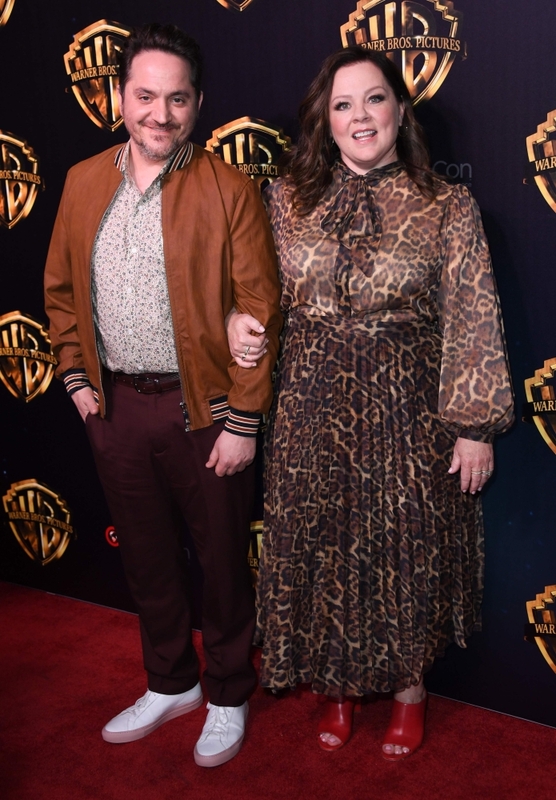 "The Kitchen" is certainly not a comedy, a first look trailer for the project revealed. 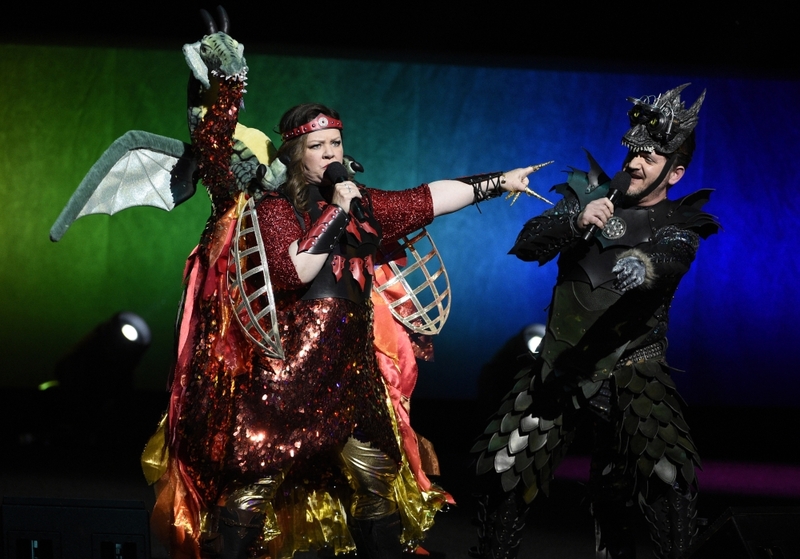 McCarthy test-drives a kind of streetwise bravado you're used to seeing from her in over-the-top comedies, but in "The Kitchen" there is no pause for laughter. Even more surprising was how measured and earnest Haddish played to the crowd, as the sole woman of color in her group (which also counts Elizabeth Moss). "They didn't want me in this family anyway," Haddish tells her partners in crime over a tense meeting in a diner, where the women strategize ways to gain legitimacy as an organized crime force against a misogynistic mob boss. 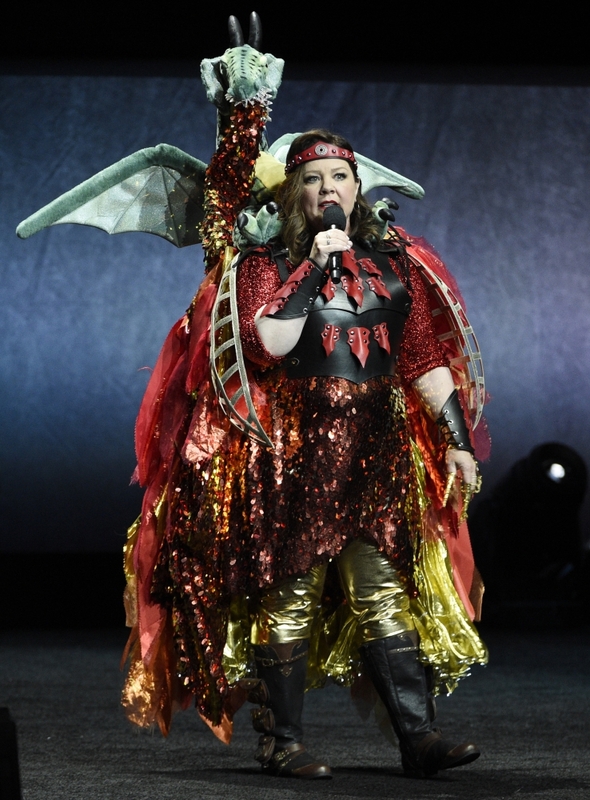 "There's so many layers to women," Haddish told the CinemaCon crowd. 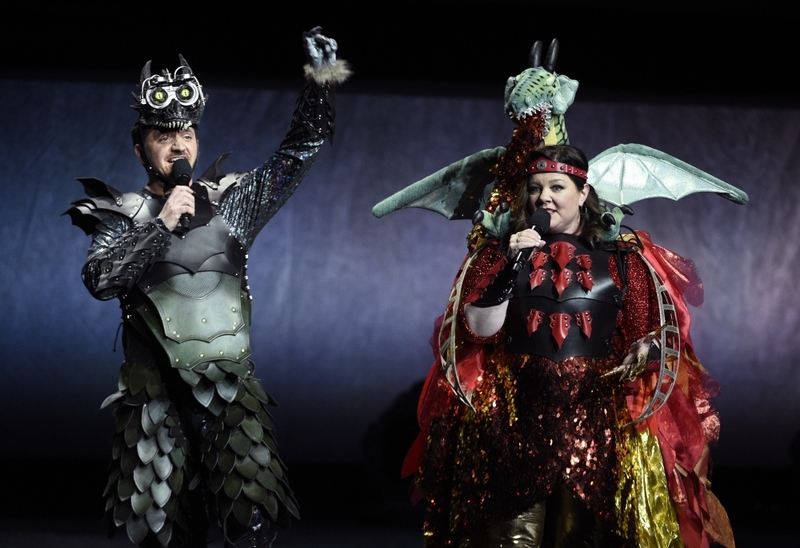 "We can make you cry, we can make you laugh, we can be nutritious." Also impressive in a more literary vein was "The Goldfinch," the long-anticipated adaptation of Donna Tartt's Pulitzer Prize-winning novel. Ansel Elgort plays a young man haunted through the years by the loss of his mother. A syrupy orchestral score, hyper-slow-motion shots and a ton of stars gave the film an awards-bait vibe. Come September 13, you'll see Nicole Kidman, Sarah Paulson, Jeffrey Wright, Luke WIlson and Finn Wolfhard unfold the story in theaters. Elgort promised theater owners that the film would be "an epic" and that the filmmakers had captured the spirit of the novel. Also on deck was "Motherless Brooklyn," fronted by director and star Ed Norton. He portrays a private investigator in 1950s New York, grappling with Tourette's and agitated clients. Little was previously known about the project, which also stars Leslie Mann, Bruce Willis, Bobby Cannavale, Alec Baldwin and Gugu Mbatha-Raw. That hits Nov. 1.